Bien reçu, dans les délais et conforme à la description. Superbe. 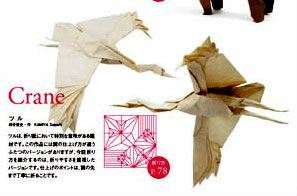 Great origami book if you can read japanese (the only language in the book). I unfortunately can't b... (Lire la suite)ut tried translating it (mildly successful) with a bit of help from the internet and the pictures in the book. The models in the back are typical Kamiya-Style diagrammed, so the annotations aren't really needed to fold them correctly. 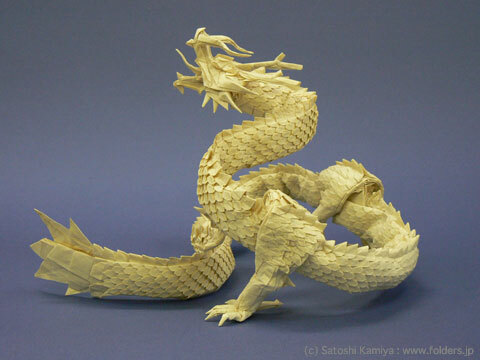 I also folded the Ryujin 3.5 from the creasepattern which comes with the book and it turned out fine. Overall a great book, I really recommend buying it (even when japanese isn't a strength). 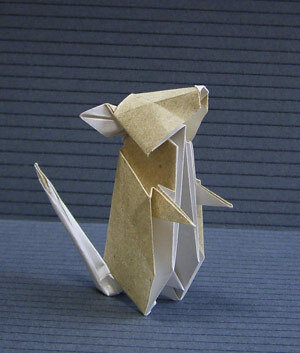 It not only has 5 (6 with the Ryujin cp) great models diagrammed but also some advice on how to fold, treat paper etc. I am very glad to have this book in my collection. 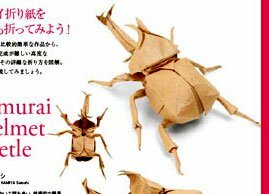 It provides some tips and tricks to shaping model... (Lire la suite)s and a LITTLE insight to fold the illustrious dragon by Satoshi Kamiya. 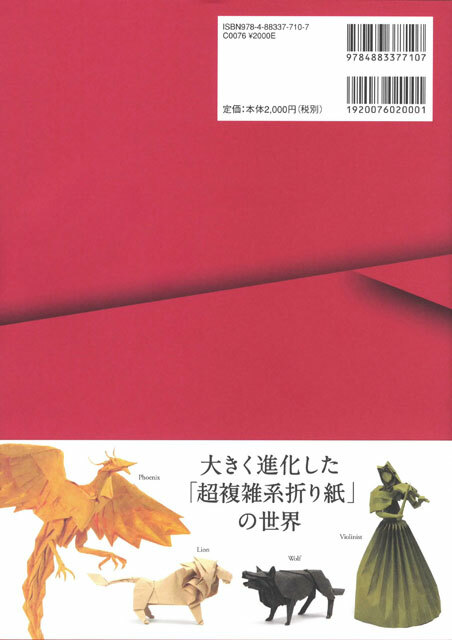 Only wish I read Japanese as it is the only language in book.There are a couple model diagrams, but this book is more of a place to show off super complex stuff, not diagrams on how to do them. Excellent book, but it is hard to translate it with google translator. I have to start Japanese les... (Lire la suite)sons. A very nice book, which includes five models from simple to super complex, and a CP of the famous ry... (Lire la suite)ujin with help to collapse it. unfortunately all the texts are in japanese... But very recommended. Un livre regroupant quelques modèles très complexes. Attention, peu de diagrammes sont présents d... (Lire la suite)ans celui-ci.Il y a un guide sur le Ryuzin 3.5, mais entièrement en japonais. De même, le CP est très très petit. Pas forcément suffisant pour se lancer dans l'aventure.Reste que l'ouvrage est très intéressant et bien conçu. Que dire d'autre à part "LA Bible du Plieur" ? Wunderbares Buch! Schade, dass es keine deutsche oder englische Übersetzung gibt. It's a long tine I didn't buy a japanese book, and I must say that from the first time you open in, ... (Lire la suite)you can feel the oriental style. Thought the reading direction is european (from left to right), and this amazed me, but the book is really good, featureing 5 (from average to complex) folding diagrams. Cant wait to get this book.The Works of Satoshi Kamiya was a real eye opener.This is now a true pass... (Lire la suite)ion of mine. I have come so far with the help of this site. 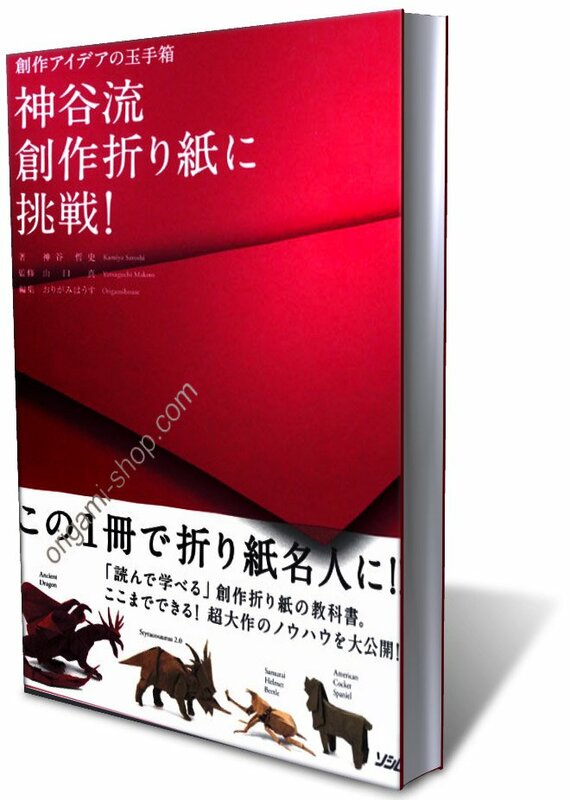 Although this book is entirely in japanese, The quality of it and it's diagrams are excelent. I do w... (Lire la suite)ish it had translation to English though.